Updated: Public Service Company of Oklahoma (PSO) today announced by press release that it is no longer pursuing its proposed Wind Catcher Energy Connection project following a decision by the Public Utility Commission of Texas on July 26 to deny approval of the project. 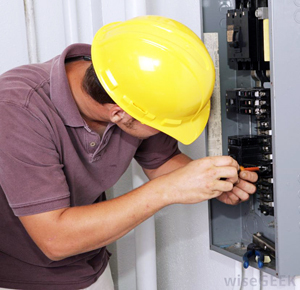 The project had previously received approvals by the Arkansas Public Service Commission, Louisiana Public Service Commission and Federal Energy Regulatory Commission. 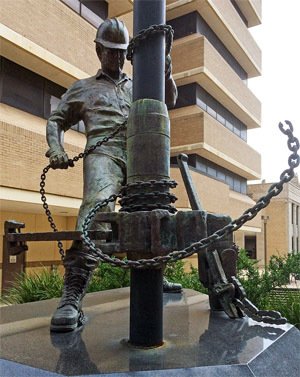 A decision was pending at the Oklahoma Corporation Commission. 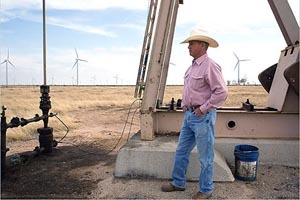 Announced a year ago, the $4.5 billion project would have provided PSO customers with low cost wind energy from a 2,000 megawatt wind farm in the Oklahoma panhandle. Combined with a dedicated power line to deliver the energy, Wind Catcher would have lowered electric bills by $2 billion over the life of the project, created thousands of jobs during construction and generated hundreds of millions in much-needed tax revenue for the state. 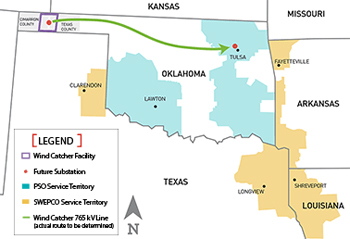 PSO, a unit of American Electric Power (NYSE: AEP), is an electric utility company serving more than 550,000 customer accounts in eastern and southwestern Oklahoma. Based in Tulsa, PSO has nearly 3,800 megawatts of generating capacity and is one of the largest distributors of wind energy in the state. Additional information about PSO can be found at www.PSOklahoma.com. Stan Whiteford, PSO Corporate Communications, told Tulsa Today that the price of natural gas projected forward twenty-five years appeared to be an issue for the Texas Commission. 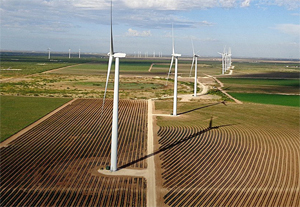 PSO’s Wind Catcher Partner, Southwestern Electric Power Company, provides services in Texas and thus approval from the Texas Public Utility Commission was required. 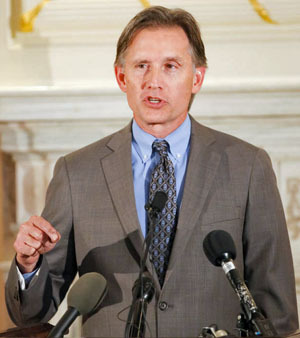 Oklahoma Attorney General Mike Hunter responded to the decision. “I commend the Texas Public Utility Commission for its sound and sensible ruling,” Attorney General Hunter said. “We have said from the beginning PSO failed on several fronts to qualify for pre-approval and cost recovery of this project, including its failure to comply with the OCC’s rules for competitive bidding, the inability to show a need for the generation capacity and unrealistic assumptions of ratepayer savings. 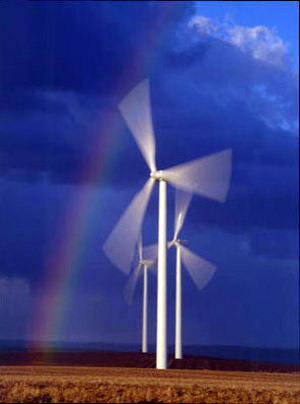 “Our position was never critical of the company or the benefits of wind or other forms of renewable energy. It was about protecting the ratepayers and ensuring they did not shoulder the risks of this $4.5 billion project. State Rep. David Perryman expressed extreme disappointment in today’s announcement by Public Service of Oklahoma that it was canceling the Project saying it has been under attack by the fossil fuel industry and politicians who are funded by the fossil fuel industry. “Oklahoma citizens and utility customers across the southwestern U.S. are the losers with the cancellation of this project,” said Perryman, D-Chickasha minority floor leader for the Oklahoma House of Representatives. “The 2.5 megawatt turbines were designed to enhance siting efficiency, offer industry-leading reliability and allow for higher energy production,” Perryman said. “The project had been previously approved by regulatory agencies in Arkansas and Louisiana with Oklahoma and Texas dragging their feet. The $300 million in Oklahoma property taxes that this project would have generated, the $65 million in state and local revenue, the 4,400 indirect jobs during construction and 80 permanent jobs once it went online will be hard to replace, but the greatest impact of this project’s cancellation will be consumers losing $7 billion in utility rate savings over the next 25 years. I’m incredibly disappointed with this lost opportunity to further diversify Oklahoma’s economy and bring much needed revenue to our state,” Perryman added. This entry was posted in Business on July 27, 2018 by admin.